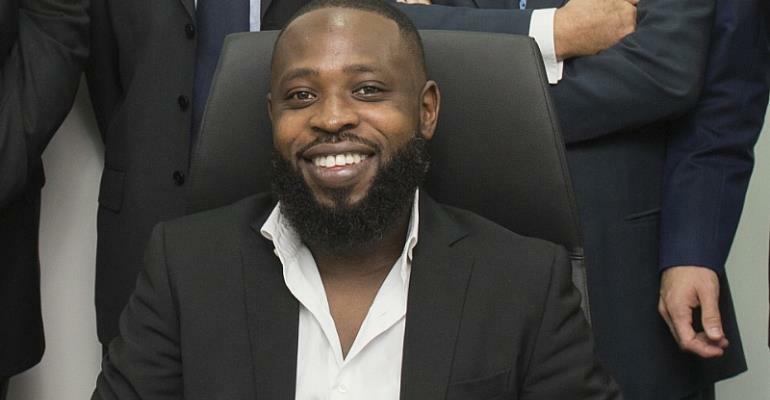 40-year old British-Nigerian international cars and jets detailing mogul, Gideon King has expressed readiness to pass on knowledge to young Ghana entrepreneurs to propel them in greater heights in the respective business. Mr Gideon King arrived in Ghana from the Uk Friday night, 5th April 2019 in which he would be visiting some communities to hold seminars and other public engagements to his experience and success story, that will impact the Ghanaian youth and motivate them to strive for greater heights. Throwing more lights on his visit to Ghana, an elated Gideon King said his motive is to enlighten, motivate and skill up some youth who feels there's no brighter future. "I want to give back to Africa where I'm from, I want to share with the youth what I have, I want to motivate them, I want to let them know there's a brighter future ", Gideon said. According to him, he intends to mentor African youth and pass on his skills to help them become multi million entrepreneurs with the right mentality. We need more mentoring to stop kids following the neighbourhood drug dealer and into that lifestyle where their minds are poisoned by the pursuit of quick money without any hard work. “want to pass on the skills that have helped me. I want them to have the chance to entrepreneurs. "There is so much talent Ghana and yet we see so much waste and death", he added. Gideon King, born to Nigerian immigrants in the UK is a Master vehicle detailer and CEO of Big Foot Detailing Centre, an international vehicle detailing service center in Doha, Qatar. King has also been an exclusive detailer for Bentley, Bugatti and Lamborghini. The Centre’s services include paint correction, nano-based ceramic coating by MAYVINCI and much more. The Centre was opened in 2016 and in less than a month with a total of 180 inquiries for Big Foot Detailing franchises worldwide. Big Foot’s detailing academy opens in the U.K.